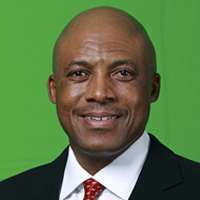 Bishop Mosa Sono is founder and Presiding Bishop of Grace Bible Church, which was established in September of 1983. His calling and passion is to win people to Christ, bring believers into full maturity of their walk with God, train, raise and mentor leaders in the church, corporate sector and in the community at large. Bishop Mosa Sono was brought up in Soweto and is married to Pastor Gege Sono. In their marriage of 30 years, God has blessed them with two sons, Nkateko and Nhlamulo. Bishop Mosa Sono has a passion for the local church. He believes that “the church is the hope of the world” and that the church needs to align itself with Christ’s mission to preach the gospel to all and win people to Christ, to be the extension of God’s love in ministering to the pain and hurt of its communities and to build prevailing churches. By the grace of God, Bishop Mosa Sono pastors and teaches God’s Word, serves his community and is passionate about God’s work. Principles are important for building a lasting legacy. Founding values are like the DNA of the church, they are the support on which everything else stands. Why foundations matter: 1) Unseen part - it is what is done in private. 2) It is Expensive - requires commitment. 3) Non-negotiable parts. 4) Provides Defense. 5) It is the reason behind every Success. 6) Basis of our Authority. 7) Brings Stability. Values need to be passed on and our values come from the Word of God. What are our Values: 1) Sound doctrine (Titus 2:1). 2) Embrace the tenets of our faith as Pentecostal charismatic people. We believe in Jesus Christ the saviour and salvation through his blood. We believe in the gifts of the spirit. We also believe that the church needs to be the Salt and Light of the world. Pioneers are people who do things that make a difference, they become the first to venture into unchartered territories. Two types of people: Pioneer and Settlers. Pioneers are radical people, enjoy taking risks. They thrive on excitement and adventure, and place their energy on ceasing new things. Pioneers always ask WHY NOT? While Settlers are conservative, satisfied with the way things are. Thrive in security and stability, and focus on preserving the past. A spirit of a pioneer is a mindset, way of thinking and attitude that is God engineered. What is it that pioneers must do? 1) Become pregnant of God vision of possibilities 2) Commit their plan to God and totally rely on him 3) Assess correctly 4) Take God led and God inspired risks. When you encounter God he sparks the pioneering spirit in you. Pioneers challenge the status quo. Life is about venturing, going where you have never been. Five lessons to learn from the lepers. 1.They took initiative. Life presents to all of us problems,what will you do when problems come? You can decide how to act. The lepers refused to live as victims - passengers in life, victim mentality. They took charge of their life. 2.They did not pretend that there was no problem. They accepted their situation and took responsibility because when you move, God moves. 3.They decided to take a step of faith. If you are certain the plan is from God, put your plans into action. Whatever God tells you, do it. 4.They refused to be immobilized by fear. Fear is what prevents people from moving forward, fear not! 5.They persevered. It will take a fight for you to move to the next level. High standards are not achieved by minimal work, you must pay the price. What it means to be as wise as serpents. We must learn the reasons why serpents are considered to be wise in the word of God and how we can apply the same wisdom for our lives and kingdom advancement. No matter how old you are, pray that when you leave this earth you have lived a purpose driven life. You waste or improve your life one day at a time . Try to count the number of days that you have been alive. How many of those days do you remember? Remember you lived them; time moves so fast. When God asks you to account for the time you have lived what are you going to say?